Having lost two close and very elderly relatives in residential care in the past few years I recognise everything in this diary! It has been written so perceptively and with such a light touch that over its duration I experienced the entire range of emotions. Knowing that if I live long enough I could be looking at my own future made the whole thing even more poignant. There are though very many 'laugh out loud' moments and I found myself chortling away continually!Inspirational is the 'Old But Not Dead Club' and I hope that in similar circumstances I would be able to set up something similar to that! The narrator, Derek Jacobi, is brilliant and adds tremendously to the impact of the book .. it would be a pleasure to listen to him all day! 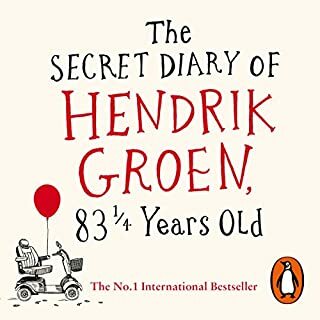 I would thoroughly recommend this book/audiobook to all ages .. but .. it should be made compulsory reading/listening for everyone's 60th birthday!!!! 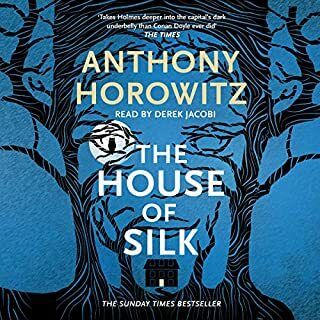 I thoroughly enjoyed this audiobook, it is an engaging story carefully and brilliantly read by Dominic West. Essentially it is a study of the nature of human interaction and how the structure of society influences this. The author's use of language is a delight and adds immensely to the pleasure of the book. This is an intricate story and viewed from the early twenty first century it seems difficult to believe that social position and mores were so rigid between the wars but personally, my main developmental years being the fifties, I am sharply aware of how this was all unraveling at that time. Action packed this book is not but if you like a good story full of subtlety and wonderfully constructed the you will not be disappointed. What a Real Ghost Story Should Be! 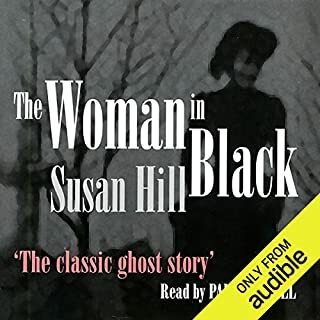 I would most definitely recommend this audiobook as 'The Woman in Black' is the quintessential ghost story containing all of the necessary elements. If you enjoy a 'good scare' then listen alone, on a dark, rainy and windy night .. you might be terrified but you won't be disappointed. Strangely the Woman in Black herself was possibly my favourite character. As the story unfolded and the understanding of what was happening became clear I began to have some sympathy towards her. Having said that she was without doubt malevolent but then again every good ghost story needs a believably nasty spectre. Which character – as performed by Paul Ansdell – was your favourite? Paul Adsell did a very good job with the main character, Arthur Kipps, and portrayed a sympathetic blend of brave bluster and terror. The story fell into place the night Arthur Kipps ventured out onto the marsh in the mist in search of his runaway dog .. by the end of this chapter the reader was left in no doubt about the strength of the emotions that had been released on the night it all started. Just as Bram Stoker's 'Dracula' has become the paradigm for vampire tales then Susan Hill's 'The Woman in Black' is destined to become the same for ghost stories. Very strongly recommended for those with a robust nerve! At 28 hours this unabridged edition is something of a marathon albeit a very enjoyable if disturbing one. I had read both the book and also the book of Captain Corelli's Mandolin, the story to which Birds Without Wings is the prequel, a few years earlier so I was revisiting familiar territory. 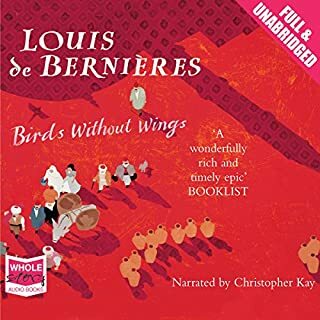 Birds takes us through the confusing muddle that was the final collapse of the Ottoman Empire at the beginning of the twentieth century as seen through the eyes of various Greek and Turkish Ottomans. 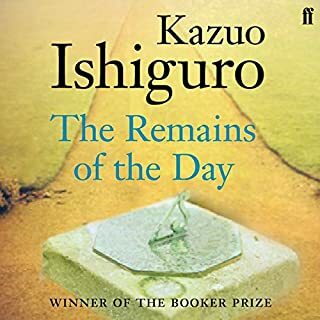 The threads are woven into a story that is both beautiful and horrifying at one and the same time highlighting the barrenness of nationalism, the folly of war, the stupidity of politicians and how, when measured against the vastness and indifference of time, the efforts of humans, those birds without wings, are ridiculous in their insignificance. The section of the book covering The Gallipoli Campaign, written from the Ottoman side, is most poignant at this time one hundred years later. The narrator is excellent and really brings the story to life. This is a story that needs to be approached with some thought and at a steady pace but it is very rewarding and one that will live with you for quite some time afterwards. Very highly recommended. A sadly modern story told in the Victorian Conan Doyle idiom and brilliantly narrated by a total master of the spoken word combine to form a first class piece of work. For anyone who is a fan of Sherlock Holmes, who enjoys a fast paced yarn with twists and surprises and who enjoys luxuriating in a very well told story, this is for you. Highly recommended! A parish priest in Northamptonshire; a former rock-star whose number-one hit with The Communards was the biggest-selling single of 1986; the regular host of BBC Radio 4's SATURDAY LIVE - these three people are not usually embodied in one person. 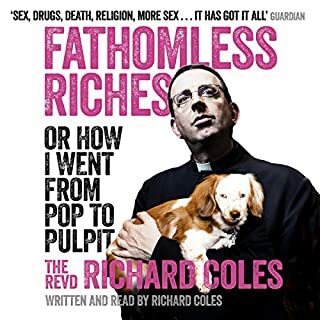 The Reverend Richard Coles' memoir offers his rich and personal insights into one of the most diverse of lives, encompassed with the wit and humour he brings to his popular radio show. Richard Coles gives the phrase 'time management' a new emphasis. Would you consider the audio edition of Fathomless Riches to be better than the print version? I have not read the print version so I cannot comment. Having said this I thoroughly enjoyed the audio version and was massively impressed by The Revd Richard Coles life's journey. It has to be the author himself, there are many multi dimensional characters in this autobiography but they are all somewhat peripheral to the subject of the story. What does Richard Coles bring to the story that you wouldn’t experience if you had only read the book? He has a good broadcasting voice and without doubt I felt he was telling me his story which made it more personal than the written word. The crossing and re crossing of the Tiber which describes his move from Anglicanism to Roman Catholicism and back again. I can fully see where he is coming from in this. The Church of England is a broad church so much so that it struggles to encompass views that seem diametrically opposed. As an openly gay priest though The Revd Coles is able to be more 'honest' as an Anglican and this can only serve to make his ministry more pertinent in the early twenty first century. A painfully honest book which might trouble some but will inspire many. Jesus was a man of and in his time and context, it is to be hoped that this honest autobiography will serve to help drag the Christian faith towards modern society, albeit in some areas kicking, screaming and dragging its feet! 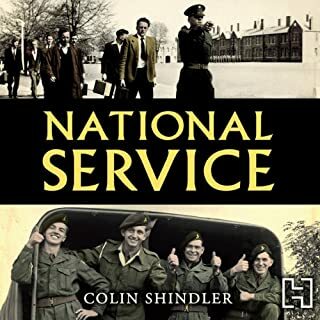 To mark the 50th anniversary of the end of National Service, Historian Dr. Colin Shindler has interviewed a wide range of ex-conscripts, from all backgrounds, across all ranks, and spanning the entire fourteen years that peacetime conscription lasted, and captured their memories in this engrossing book. From them, we experience the tension of a postwar Berlin surrounded by Russians, the exotic heat and colour of Tripoli in 1948, the brief but intense flashpoint of the Suez Crisis, and the fear of the Mau Mau uprising in Kenya. This book is not merely a history of National Service but also a social history of the late 1940s and the 1950s. I was about 18 months too young to 'enjoy' National Service but did subsequently spend just over a quarter of a century in the Regular and Territorial Armies so the descriptions are entirely familiar to me. Things have of course changed dramatically but in many ways have come full circle as having passed through the Cold War scenario we are now right back in what is now a much smaller world beset with tribal/sectarian insurgencies. Will/should National Service return? The answer I feel is a resounding 'no', it was of its time and that time has gone. If however you want to get a feel of that time then you could do far worse than to read/listen to Colin Schindler's excellent book.